Resin Female Endurance Running Award. Available in 3 sizes, 125mm, 145mm and 165mm high. Antique bronze with gold detail. 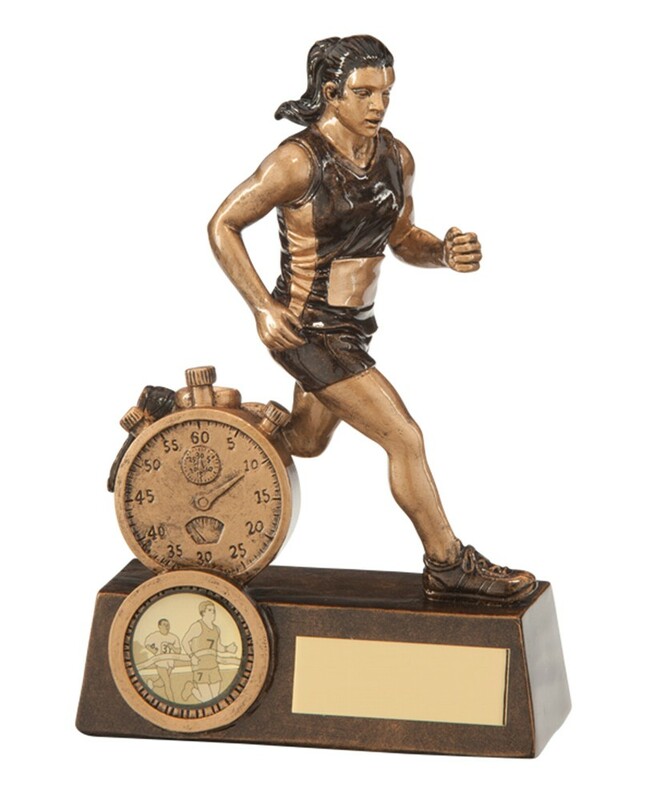 The trophy depicts a female runner and stopwatch.